Without question, the Nikon D850 is the best camera I’ve ever owned. I love everything from how it handles to its astoundingly detailed image files. 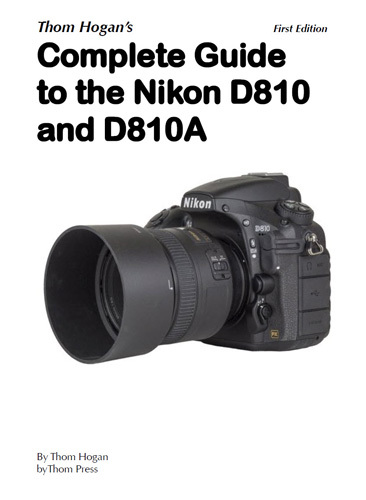 Even if you’ve read about it elsewhere online, you owe it to yourself to check out Steve Perry’s video and written reviews: Steve Perry’s Nikon D850 Review. Steve is an amazing wildlife and bird photographer with real-world experiences using most current Nikon DSLRs. From his experiences shooting tens of thousands of frames with multiple cameras in numerous photo shoots, Steve gives unvarnished, hands-on insights into the pluses and minuses of each camera. While you’re on his website, if you’re a Nikon shooter, you owe it to yourself to get his Nikon autofocus book. It’s invaluable. You’ll understand how all the modes work, and when best to use them: Secrets to Nikon Autofocus System. Regardless of what camera system you use, any wildlife or bird shooter will greatly benefit from his Secrets to Stunning Wildlife Photography book: Secrets to Stunning Wildlife Photography. I don’t do much wildlife or bird photography myself, but I enjoyed and learned a lot from his book. After reading it, I’ve referred back to it a number of times for specific refreshers. Steve’s blog posts and videos are well done, to the point, and chock full of information. 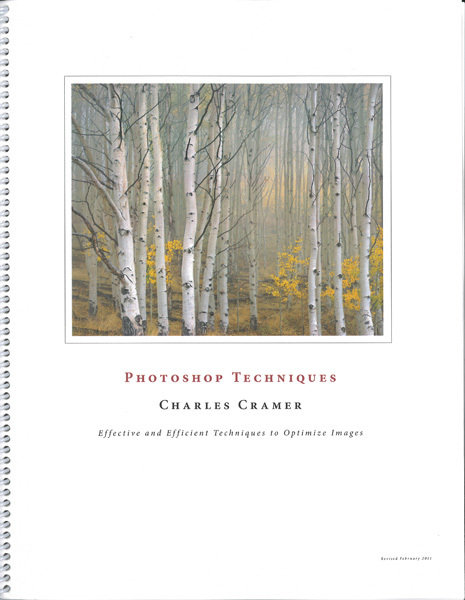 Both books are well-written, immediately useful, and filled with wonderful images. Check it all out! From April 30 through May 3, 2015, NANPA (North American Nature Photography Association) hosted a Regional Field Event in the Great Smoky Mountains National Park (Smokies). I helped lead the event with my great friends Willard Clay and Bill Lea. Together, we have led many Smokies workshops over many years, and had a lot of fun with a most wonderful group. Jakes Creek in Elkmont in the Smokies. 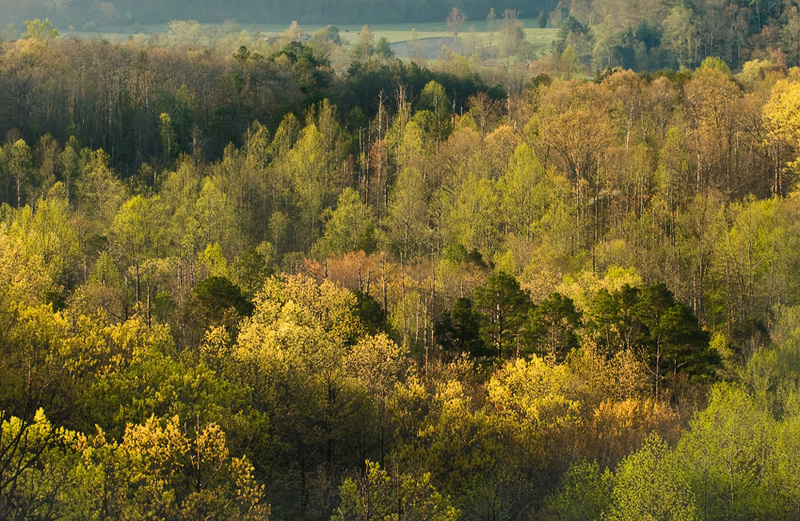 We were based in Townsend, TN, known as The Quiet Side of the Smokies. Townsend is a wonderful little town just a 20 mile, half hour drive from the Knoxville airport. Our base, Talley Ho Inn is only about a mile from the Park entrance. 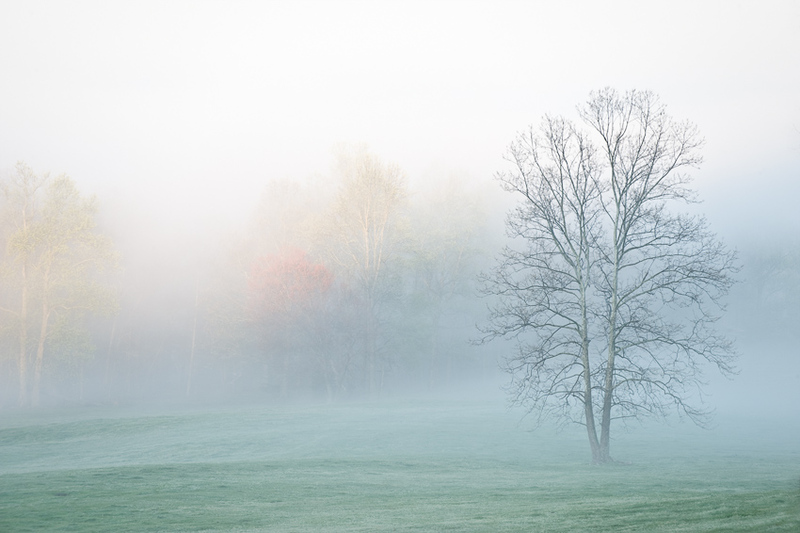 Spring Tree in Fog in Cades Cove in the Smokies. This Field Event went from 5:00 PM Thursday evening at Talley Ho Inn and ran until the end of the optional critique session at 4:00 PM Sunday the 3rd. For more information on NANPA, including their Regional Field Events, check out this link: www.nanpa.org. 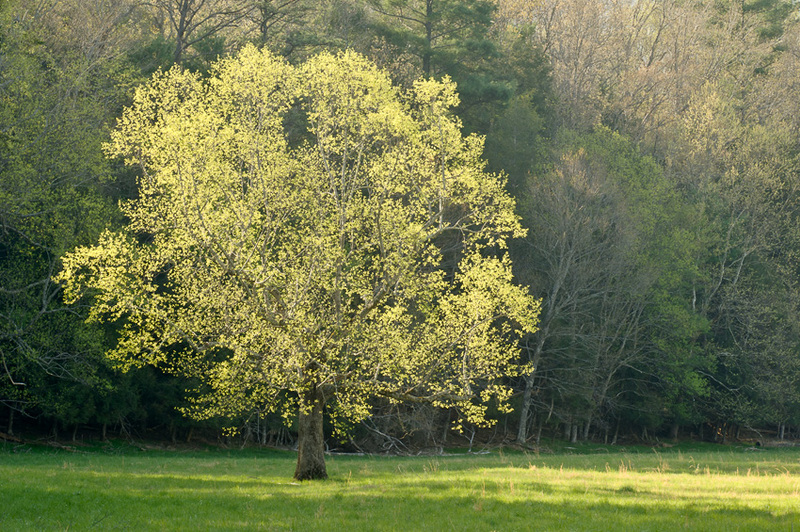 Spring Tree in Cades Cove in the Smokies. This was a wonderful opportunity for participants to experience the most visited National Park in the country with three experienced nature photographers and teachers who have cumulatively led countless photo workshops in the Smokies over many years. All participants got to experience areas of the Park many of them had not even heard of. 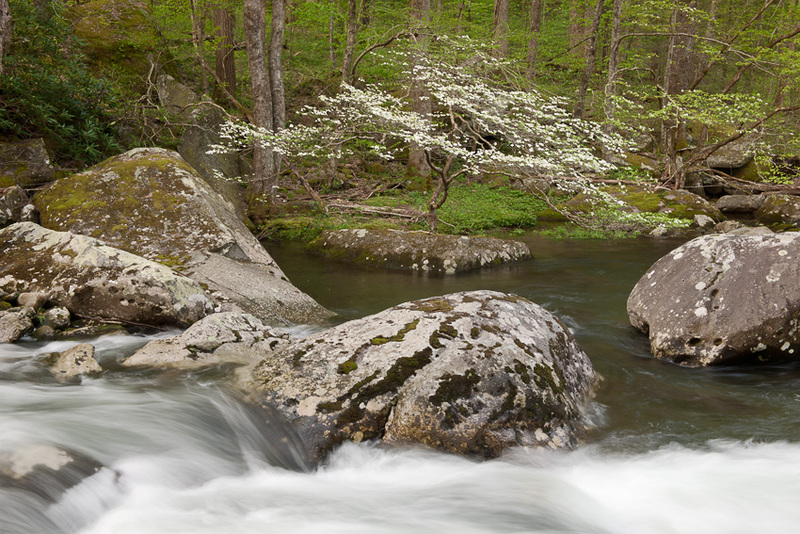 Dogwood along the Middle Prong of Little River in the Smokies. 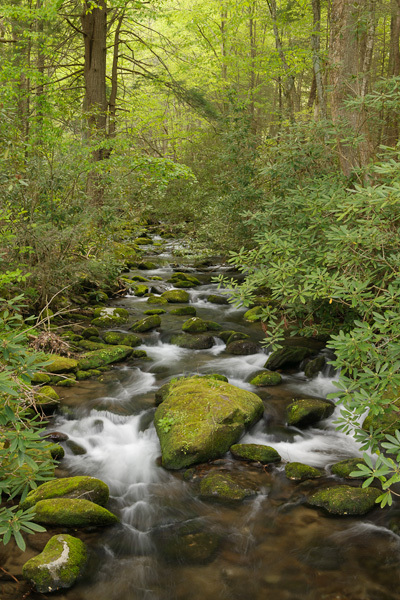 Spring is a luscious time to photograph the Smokies. Photographic opportunities include all kinds of amazing wildflowers, plenty of waterfalls and cascades, and the classic receding mountain views. Among my favorites are the vivid and varying Spring greens that are everywhere. Deer, birds, wild turkeys, and even a couple black bears were there for the wildlife and bird photographers. 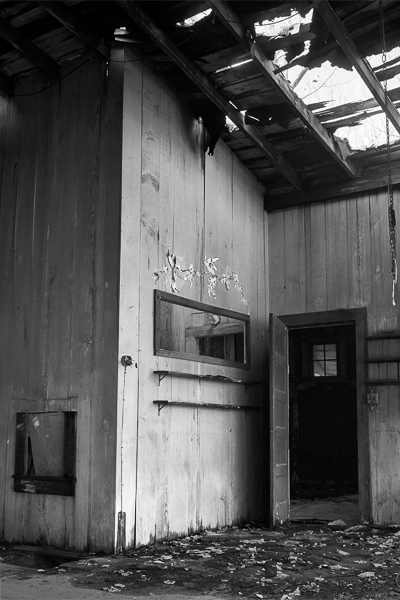 And while not strictly nature, the fascinating historic buildings in Cades Cove and Elkmont were outdoor photography favorites. 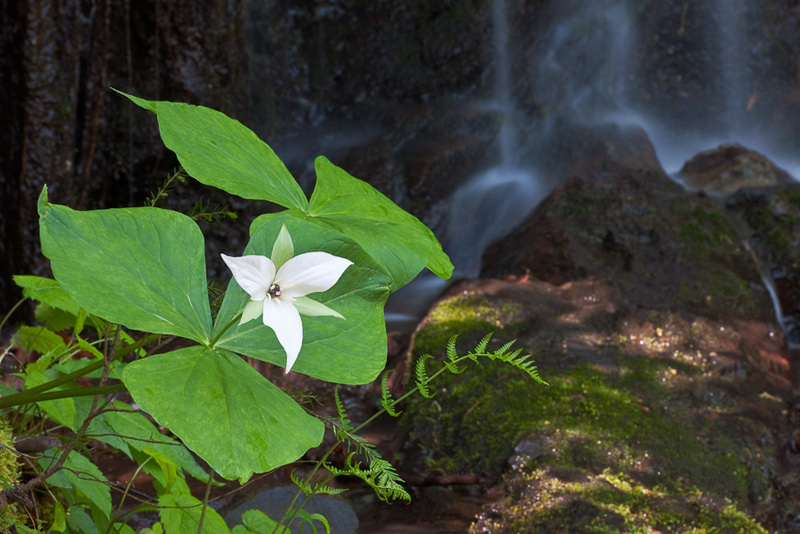 Trillium and cascade along Tremont Road in the Smokies. Of course, Nature determined what we shot. Fortunately, She cooperated with us quite well. Areas we visited included Cades Cove, Elkmont, Tremont, and the Foothills Parkway overlooks. Throughout the Field Event, the instructors gave an overview of every place we visited, along with specific suggestions of what to shoot there. We then worked with participants in the field, assisting wherever we could. Spring Colors from Foothills Parkway overlook near the Smokies. ©2015 Tom Vadnais Photography. All Rights Reserved.